NEW FEATURE — Newly designed latch mechanism flips into place to disengage coaster brakes from wheels. Allows to back up (pull) the cart into the desired position without removing the coaster brake assembly from the cart. No longer necessary to remove coaster brake assembly from one end of the cart to the other to change direction. 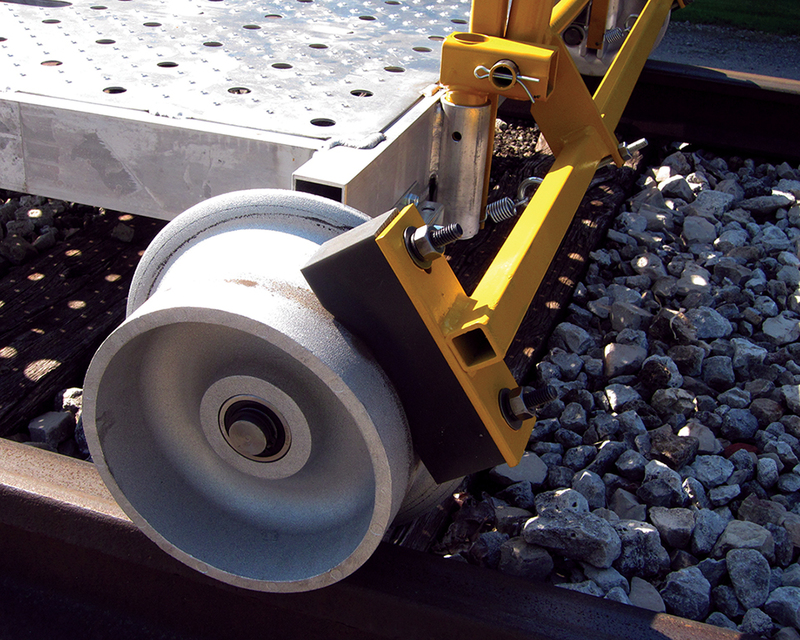 EASY TO USE — When cart is set on track, pushing handle forward releases urethane brakes off of the wheels allowing cart to move forward. When forward pressure is removed from the handle, or the handle is otherwise released, the cart rolls gently to a stop. The coaster brake includes its own handle and comes complete with brake mechanism and all parts. against the wheels. Nolan recommends setting the parking brake during installation. 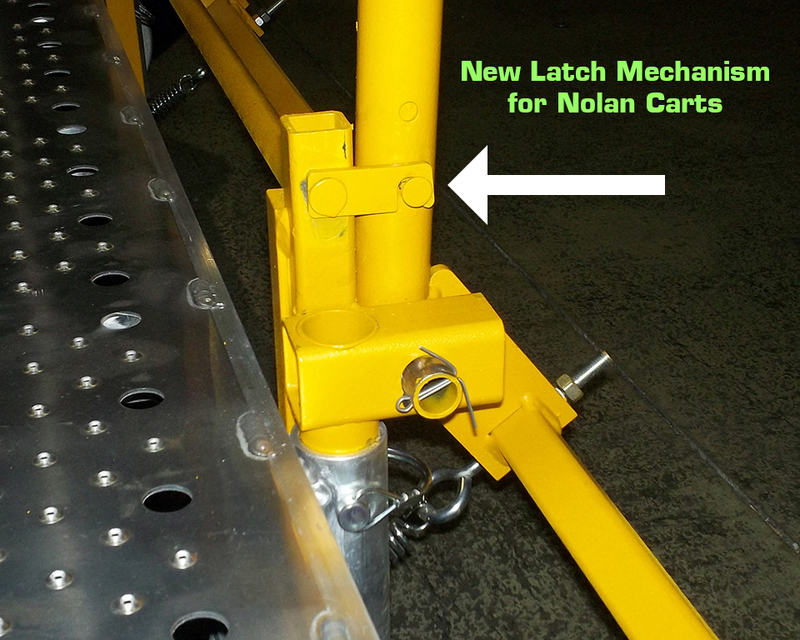 The coaster brake system is available on all Nolan’s TS carts and ATS carts.